A highly playable instrument with smooth response, the Jupiter JEP1020 euphonium is ideal for more advanced players. Providing an extended range, this four-valve euphonium can be used in a variety of settings and has exceptional intonation and expressive timbre. The sidewise lefthand fourth-valve helps players control their intonation. It is also service-friendly: the leadpipe and valve section can be completely removed. 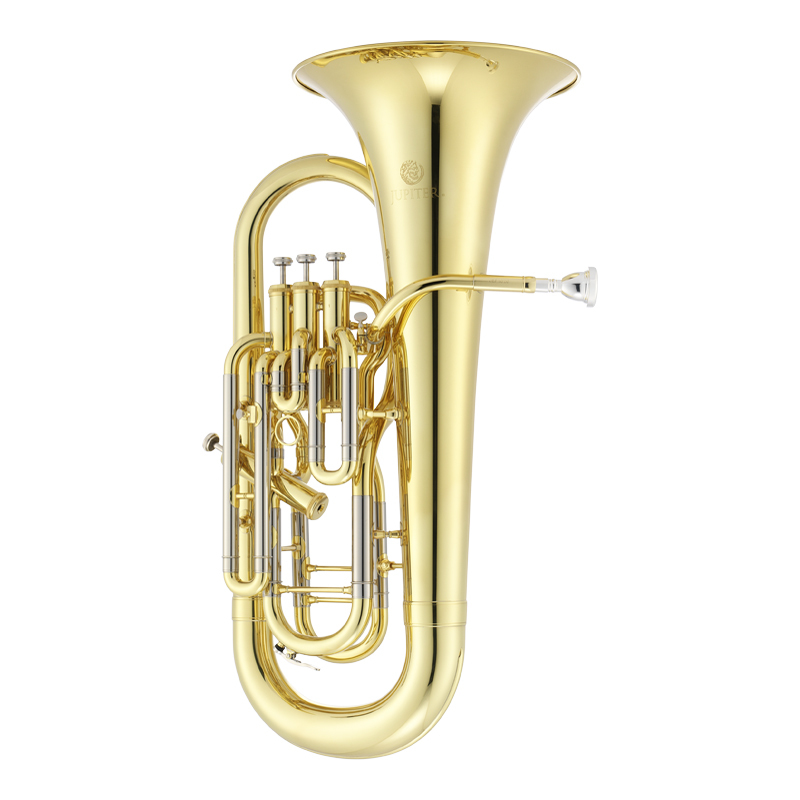 The JEP1020 features a well-constructed brass body with an 11 inch bell that produces great resonance. Its stainless steel valves ensure smooth fast operation for easy playability. For easy transport this Jupiter euphonium comes in a sturdy hard shell case. For over 30 years Jupiter has been developing and building brass and woodwind instruments to the most exacting standards. All Jupiter brass offers a high standard of materials and exceptional intonation and tone quality. Jupiter instruments are built for playability – choosing Jupiter will be the best decision you made.